In this release, the description and remediation text for all Scanner issues has been rewritten to bring things up to date. Where applicable, issues also include a list of references to online resources relating to the vulnerability. This should hopefully provide a useful learning resource for people setting out in web security testing who want to read up about different vulnerabilities. 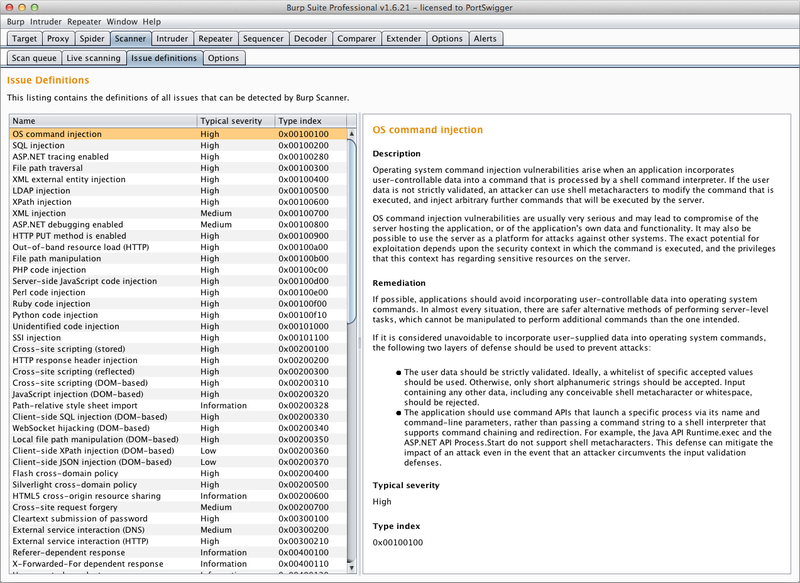 It will also help people who create integrations between Burp and other security tools. The "type index" field on each issue type is the number that is included within Burp's XML output and available via the API. 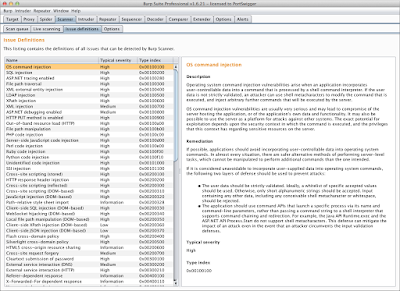 This can be used to map Burp's issues to other taxonomies of web security vulnerabilities.